The National Garden Bureau has four “Year of the” programs that any retailer can take advantage of at no charge. Every year since 1980, the National Garden Bureau (NGB) board of directors has chosen one annual, one edible, one perennial and one bulb (added in 2015) as the selected classes for our “Year of the” program. NGB’s board of directors are made up of horticulture experts from their respective companies, such as breeding companies, brokers and distributors, seed resellers, growers and more. They are the ones who select the featured classes and their selections are based on a class of plants that are popular, easy-to-grow and have a diverse number of varieties within the class, preferably with a lot of new breeding work and introductions to highlight. The NGB “Year of” crops are often propagated from both seed and cuttings to completely cover the market. The promotion to support this program includes a Fact Sheet, written by an expert on the subject, that is posted on the NGB website (www.ngb.org/year-of), downloadable photos for each class and a social media campaign including hashtags. The fact sheets provide factual information on how to successfully grow those crops. 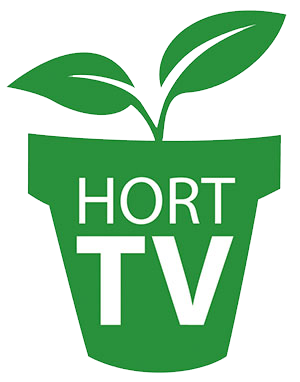 They are provided at no charge to garden centers, garden communicators, Extension agents, master gardeners, and anyone else who can use them to help educate the home gardener on how to incorporate those plants in their home gardens. All we ask in return is a credit for providing the information. The second part of the program involves an extensive photo library showcasing many different varieties of each class. As a member benefit, NGB members are invited to submit photos of the varieties they sell from each class. Those photos are then posted to the NGB website and just like the Fact Sheets, the photos are provided at no charge to retailers, garden communicators, Extension agents and anyone else who can use them in order to promote gardening with those classes and/or specific varieties. As a garden retailer, there are many ways you can take advantage of this program. 1. Duplicate the Fact Sheet information into your own e-newsletter(s), urging customers to try a few of the new varieties within that class. 2. Use that same information, in whole or excerpted, as articles for newspapers or magazines that serve your local market. 3. Use some of the many photos available from the NGB photo library in signage and advertisements promoting that class of annual, perennial, edible or bulb. 4. Print an abbreviated version of the Fact Sheet and use that as a handout when giving weekend or weekday gardening seminars. 5. Download and print the signage available at www.ngb.org as a way to bring attention to a class of plants. 6. Use that same signage as POP when creating an eye-catching temporary display for annuals, perennials, edibles or bulbs. 7. Access the National Garden Bureau Pinterest boards featuring our “Year of” crops and use those on your own Pinterest boards for customer inspiration. 8. Follow National Garden Bureau’s Facebook, Instagram and Twitter pages and share the many photos and tips about each ‘Year of’ crop that pop up on those sites. 9. Use the “Year of the” logos for calibrachoa, coreopsis, beet and tulip in your customer newsletters. 10. Use those same logos to announce special offers on social media. 11. Use the logos in your advertising efforts. 12. Make special displays highlighting each crop and offer the seed, plants or bulbs for sale in that display. Get creative and use this program to bring attention to and increase sales for these popular plant classes. Diane Blazek is the executive director of the National Garden Bureau and All-America Selections. She can be reached at [email protected].